U.S. officials reacted angrily to comments attributed to Israel's defense minister criticizing Secretary of State John Kerry's efforts to broker a peace agreement between Israel and Palestinians. 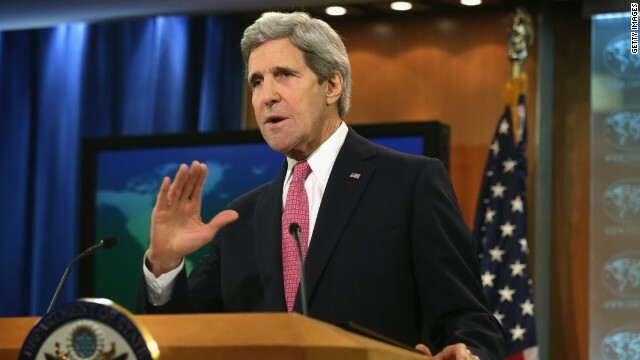 The derisive remarks appeared in a popular daily Israeli newspaper, Yedioth Ahronot, and reflect Moshe Yaalon's skepticism of the Kerry-led U.S. efforts "both in private conversations in Israel and in the U.S."
"American Secretary of State John Kerry, who turned up here determined and acting out of misplaced obsession and messianic fervor, cannot teach me anything about the conflict with the Palestinians," Yaalon said, according to the paper. The U.S. State Department fired back Tuesday. 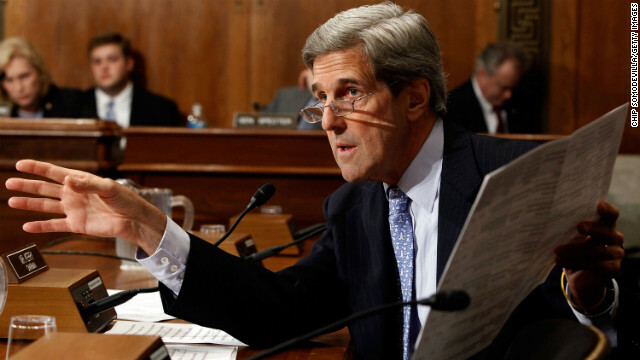 Spokeswoman Marie Harf said it was shocking that a close ally would question Kerry's motives. North Korean leader Kim Jong Un’s execution of his uncle was “an ominous sign” of instability and danger, U.S. Secretary of State John Kerry said in an interview broadcast Sunday. Kerry also weighed in on reports about former FBI agent Robert Levinson, who went missing in Iran seven years ago. 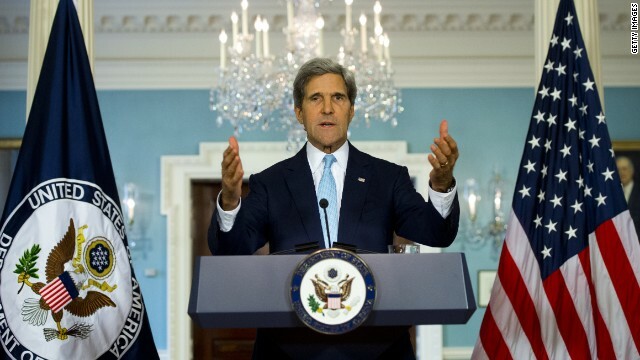 The United States has not stopped efforts to get him released, Kerry told ABC's "This Week." The secretary of state is on an overseas trip that's taken him to Jerusalem, Ramallah, Vietnam, and will carry him through Manila and Tacloban later this week. 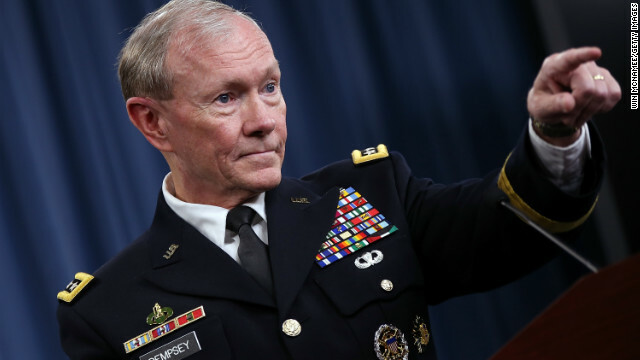 Chairman of the Joint Chiefs of Staff Gen. Martin Dempsey said Monday that if Israel were to strike Iran in an effort to damage the country's nuclear program, the United States would meet "some defined obligations" it has to the Middle East nation. "I feel like we have a deep obligation to Israel," the military leader said. "That is why we are in constant contact and collaboration with them." This fall, diplomats from the United States and other interested countries have met to deal with Iran's nuclear program and ways in which advancements could be halted. You may have been surprised by the about-face by French President Francois Hollande who - after initially stressing the need for urgent action on Syria while insisting there was no need to wait for the United Nations inspectors' report on the August 21 attack - said on Friday that he now wants to wait for their findings. Then, Saturday in Lithuania after four hours of talks with Secretary of State John Kerry, the European Union foreign ministers issued a statement blaming Syrian President Bashar al-Assad for the chemical weapons attack, calling it a "blatant violation of international law, a war crime and a crime against humanity" and calling for a "clear and strong" international response. But the statement said U.N. inspectors investigating the incident should report their initial findings before any action is taken. It is all about European politics. 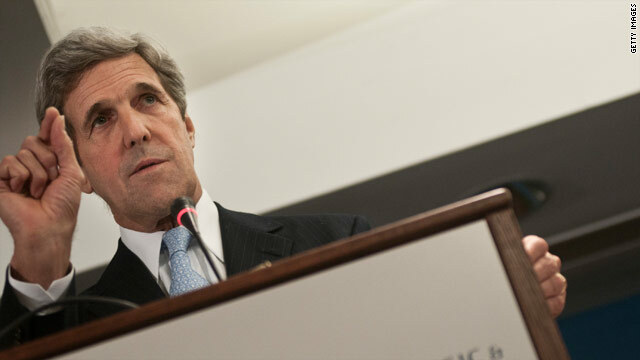 BRUSSELS (CNN) - When Secretary of State John Kerry meets Tuesday with Russian Foreign Minister Sergei Lavrov on the sidelines of NATO meetings, he will have a full agenda, starting with the crisis in Syria, disarmament talks with Iran and nuclear saber rattling by North Korea. There also will be the issue of missile defense and ongoing negotiations between Moscow and Washington to make drastic cuts in their respective nuclear arsenals. But the Chechen roots of the Boston Marathon bombing suspects will loom large. While Russia could be helpful in tracing possible motivation of the alleged attackers, brothers Dzhokhar and Tamerlan Tsarnaev, as well as any possible connection to terrorist groups, the Obama administration wants to make sure it does not upset an already fragile relationship. The president's top diplomat said Friday he wasn't looking "backwards" at the White House quashing of a proposal last summer to arm the Syrian rebels, but was instead looking at what the United States will do regarding helping the opposition. Last summer President Barack Obama's national security team, including Secretary of State Hillary Clinton, CIA Director David Petraeus, outgoing Defense Secretary Leon Panetta and Chairman of the Joint Chiefs of Staff Gen. Martin Dempsey, backed a proposal to provide weapons to Syrian rebels but, U.S. officials told CNN on Thursday, the White House blocked the idea. That rift was unexpectedly revealed Thursday in testimony on Capitol Hill. Sen. John McCain, R-Arizona, asked Panetta and Dempsey: "Did you support the recommendation by Secretary of State - then-Secretary of State Clinton and then-head of CIA General Petraeus that we provide weapons to the resistance in Syria? Do you support that? Secretary of State John Kerry spoke with leaders from Israel and the Palestinian Authority, among others, during his first weekend on the job, according to a readout released by the State Department on Sunday. The former senator from Massachusetts spoke to Israeli Prime Minister Benjamin Netanyahu about the country's recent elections and the Middle East peace process. He also talked to Palestinian Authority President Mahmoud Abbas about Israeli-Palestinian relations and vowed to continue efforts with Congress to send funds to the authority. 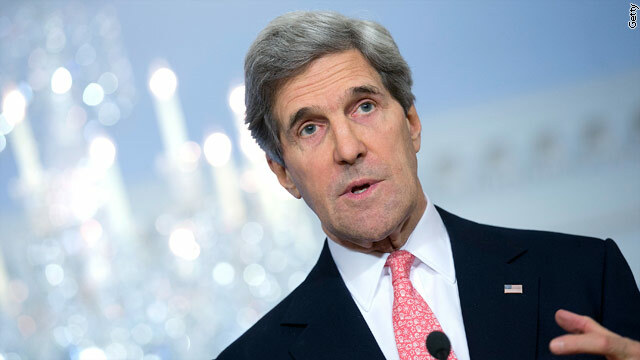 The conversations came one day after Kerry spoke with Israeli President Shimon Peres, whom he has known since he was a freshman senator, State Department spokeswoman Victoria Nuland said in a readout on Saturday. Sen. John Kerry, the president's nominee for secretary of state, put America's anxiety over Iran front and center during his confirmation hearing, saying the "questions surrounding Iran's nuclear program" must be resolved. "The president has made it definitive," Kerry told the Senate Foreign Relations Committee Thursday during what is expected to be an easy confirmation process. "We will do what we must do to prevent Iran from obtaining a nuclear weapon, and I repeat here today, our policy is not containment. It is prevention, and the clock is ticking on our efforts to secure responsible compliance." 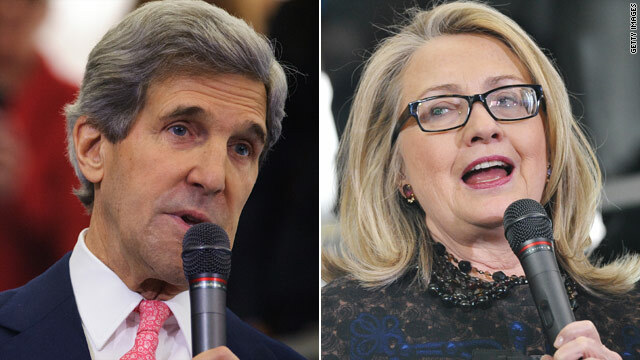 Nine years after his presidential bid ended in defeat, John Kerry's political career might take a major turn Thursday during his hearing to become the next secretary of state. The longtime senator from Massachusetts could sail to an easy confirmation, as politicians from both parties expressed optimism he would win approval. "Over these many years, John's earned the respect and confidence of leaders around the world. 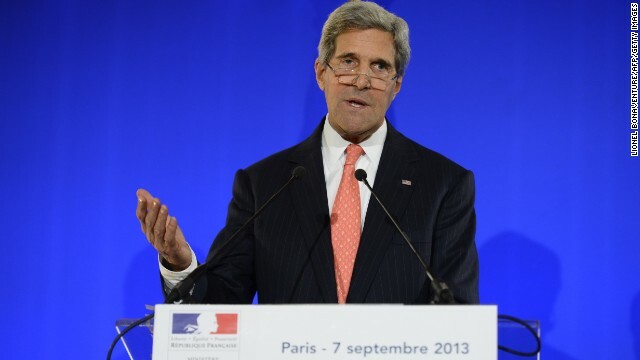 He is not going to need a lot of on-the-job-training," President Barack Obama said when he nominated Kerry last month. "I think it is fair to say that few individuals know as many presidents and prime ministers or grasp our foreign policies as firmly as John Kerry, and this makes him a perfect choice to guide American diplomacy in the years ahead." Kerry is noted for having the experience, gravitas and relationship-building skills that could help him succeed Hillary Clinton, the outgoing top U.S. diplomat.